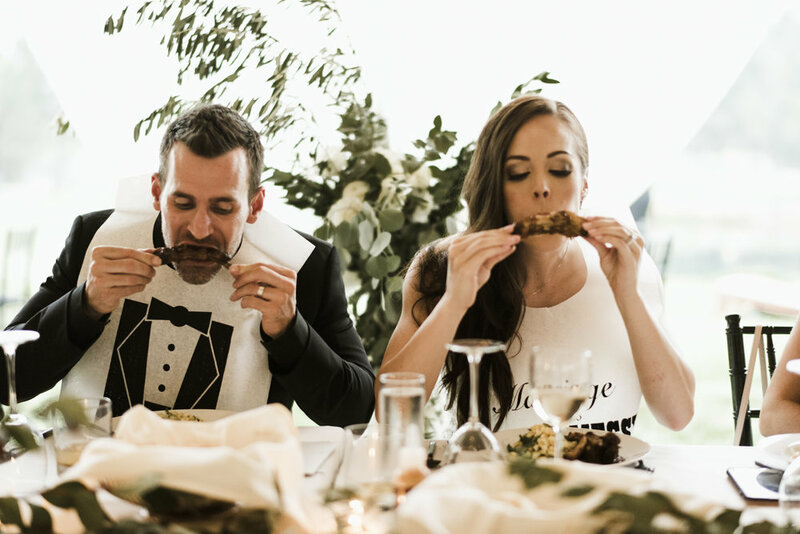 A smoking hot couple, Kerrin and Chris envisioned their wedding celebration as a long weekend of equal parts relaxing and partying, all focused on spending time with their friends and family from near and far. 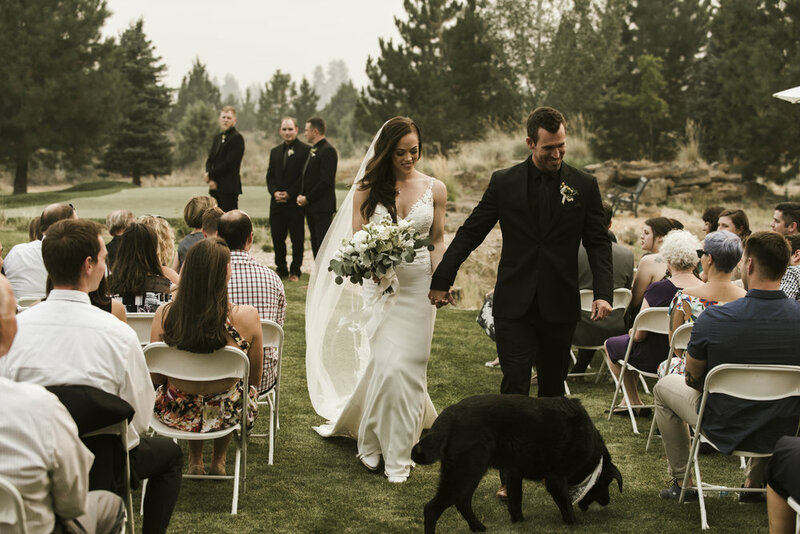 They found a perfect retreat in Central Oregon at a private residence on the outskirts of Bend with plenty of space to house their bridal party and all kinds of activities on site to entertain, from a putting green (and several golf tees scattered about the estate) to a pool table! Even a lake on property offered perfect relief from the hot summer days for lazy floating with a cocktail in hand. 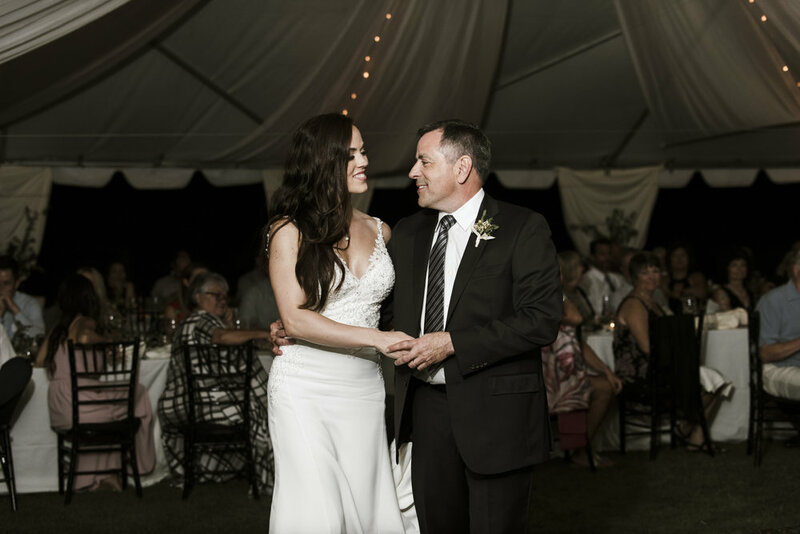 Despite the terrible forest fires in the area that choked the air with smoke, Kerrin and Chris maintained a great spirit and enjoyed an unforgettable celebration -- it was smoking and hot, just like them! 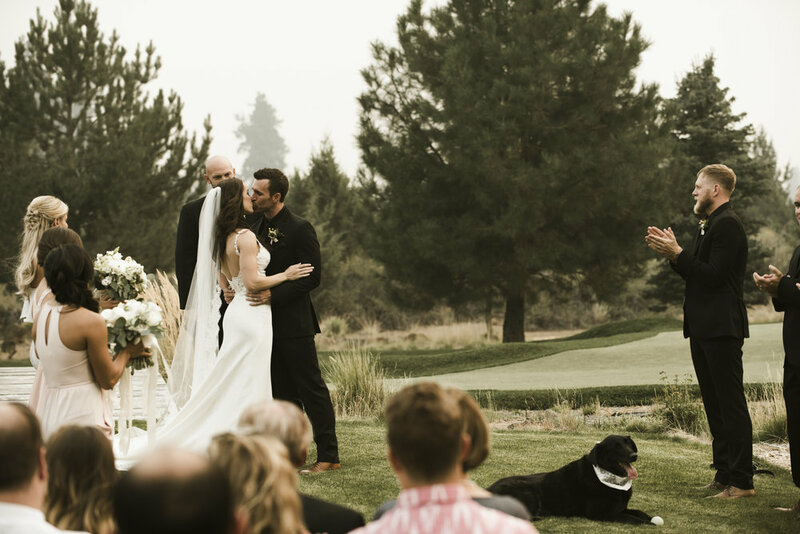 The ceremony was held simply on a spit of lawn with the high desert on one side and the lake on the other. A large tent was set on the lawn across the lake for the reception, with corn hole and cocktails to entertain the guests in the space between. Large sprawling installations of greenery with hops, eucalyptus, olive branches and other hardy plants were accented with the soft white and ivory floral of garden roses, hydrangea, lisianthus, and dahlias to highlight focal points. Meanwhile the tables were simply dressed in ivory linens with a soft chiffon runner, greenery and votive candles to add romance to the tables. 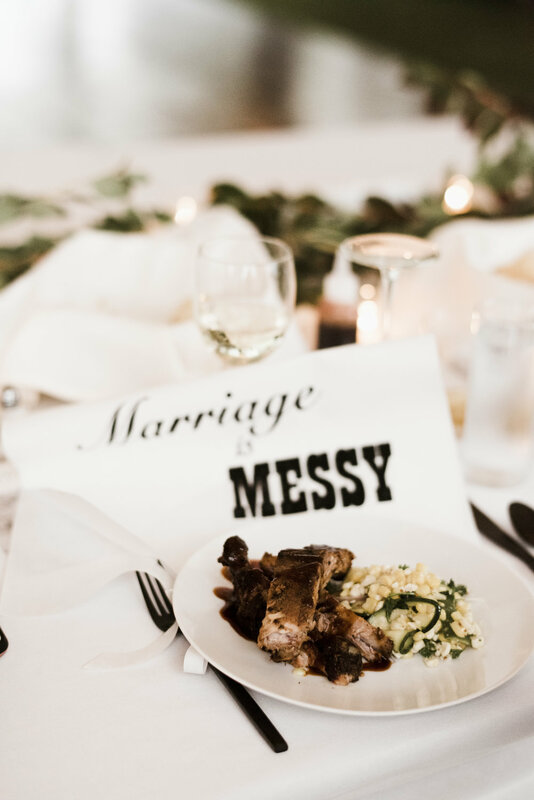 In keeping with the clean, modern, sophisticated black and white theme, marble table numbers identified tables. Individual menus were printed with the marble motif and hand calligraphed place cards were affixed with mini black and silver binder clips, adding both a fun mod decorative element and function in keeping the stationery stationary! Comfort food was on the menu including ribs and a mac n cheese buffet. 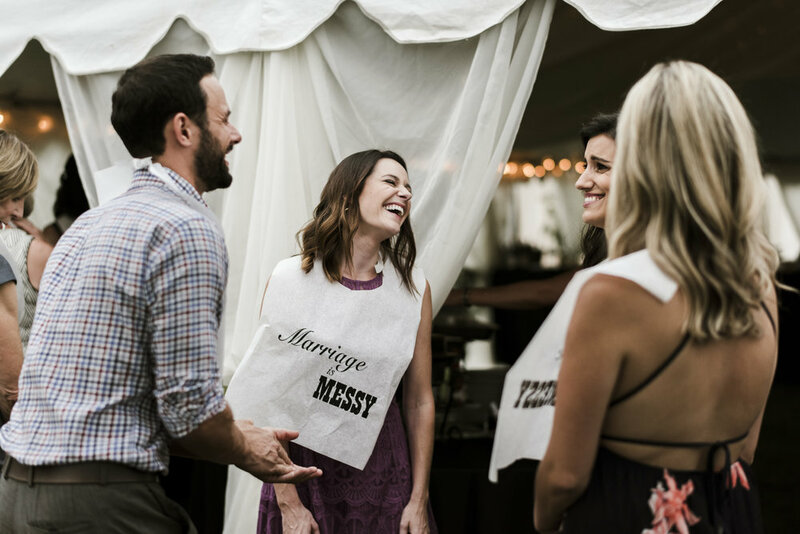 Guests were offered sassy disposable bibs to protect their dressy attire -- tuxedos for the gents and a cheeky “Marriage is Messy” aphorism printed for the ladies! 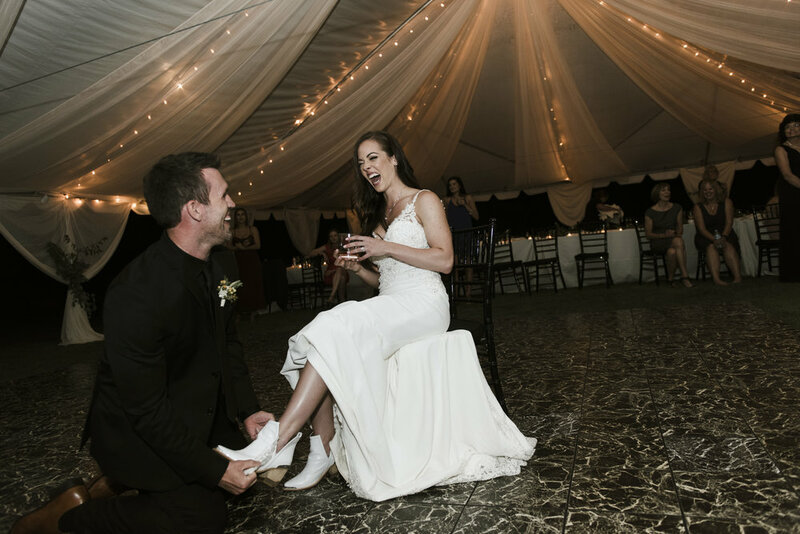 Pies and late night snacks of tater tots and soft pretzels (with all the fixings) kept guests full and happy on the dance floor until the s’mores smorgasboard came out and a curated selection of fine whiskey capped off the night. 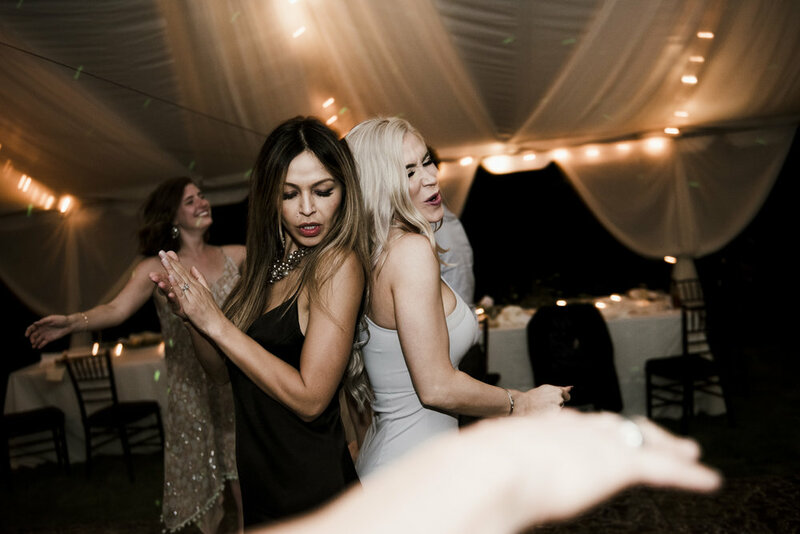 It was so much fun working with Kerrin and Chris and helping them to create a memorable setting for their wedding and so rewarding to see their guests having such a great time. 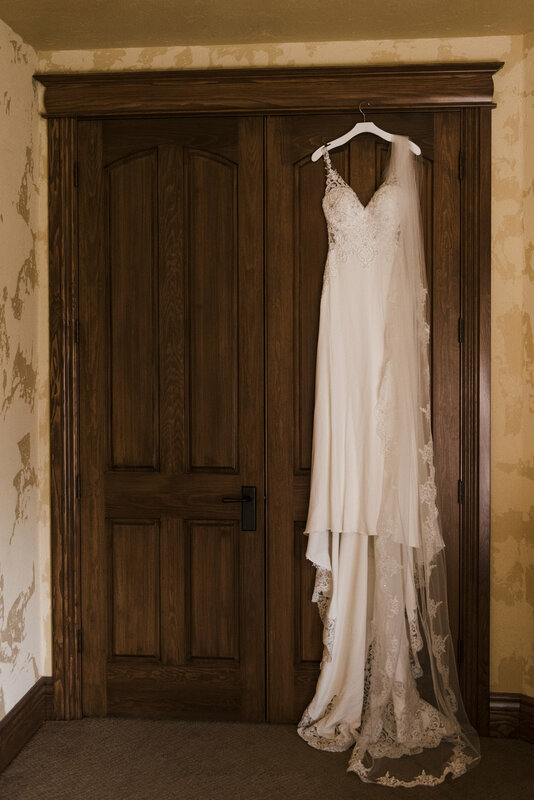 Congratulations again, Kerrin and Chris!